These Personal Storage Locker are available on www.buyusedlockers.com where they have a huge selection to choose from if we need additional supplies. 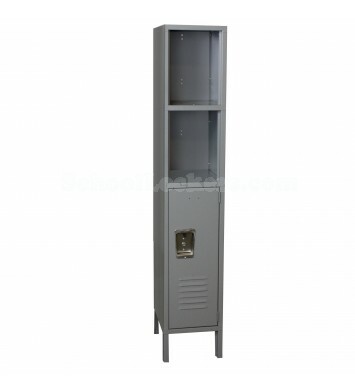 These used personal storage lockers are ideal for home, work or school. When used with a padlock, they offer secure storage and organization. Many people use these to store clothing, school supplies, movies, games, arts and crafts, important documents, etc. Each compartment is 12" wide x 12" deep x 36" high while the columns are 78" high overall. They are a nice neutral gray color and fully functional. The include hooks and number plates and ship fully assembled.